Marcantonio Furniture Repair are specialists in furniture repair and restoration, both antique and modern. We provide a highly professional and friendly service, from pickup to final delivery. Each piece is fully restored using traditional methods and materials to the highest standard - from repairing a broken chair, french polishing a table, re-upholstering a dining chair to the sympathetic restoration of a valuable period piece. We work for a wide range of clients from private customers and antique dealers, to leading interior designers. 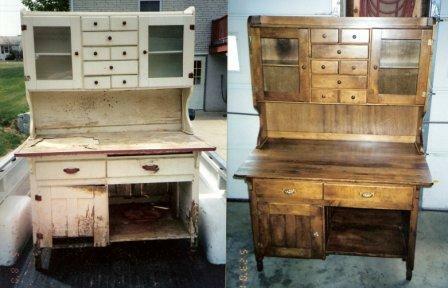 Marcantonio Furniture Repair are specialists in furniture repair and restoration, both antique and modern. We provide a highly professional and friendly service, from pickup to final delivery. Each piece is fully restored using traditional methods and materials to the highest standard - from repairing a broken chair, french polishing a table, re-upholstering a dining chair to the sympathetic restoration of a valuable period piece. Each piece is fully restored using traditional methods and materials, at our London studios, to the highest standard - from repairing a broken chair, french polishing a table, re-upholstering a dining chair to the sympathetic restoration of a valuable period piece.